The Kooks have enjoyed a stellar year. The band's compilation 'The Best Of.... So Far' seems to remind fans of that first spark, an excellent survey of one of the country's biggest guitar pop acts. Hitting the road, The Kooks have played a series of enormous headline shows, an international jaunt that has touched down on just about every continent. Making friends along the way, The Kooks have struck up a close relationship with Blossoms, the two bands sharing common interests and a thirst for live performances. With The Kooks set to return to the UK for a flurry of enormous live shows, the band have handed Blossoms the keys to their album cut 'Bad Habit'. "We are thrilled to share a new remix of 'Bad Habit' concocted by a band we are massive fans of. Our friends and ol’ tour mates Blossoms. We love it, know you will too." "Massive love and thanks to Charlie, Tom, Joe, Josh and Myles. We’re out in Europe at the moment having a great time at these shows. We are heading back home to the UK in a week and we literally couldn’t be more excited to see the UK again and play our biggest shows to date. Thank you all for the huge love and support always." 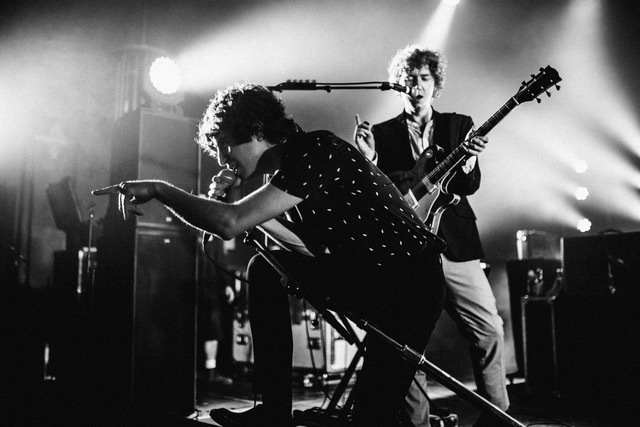 For tickets to the latest shows from The Kooks click HERE.